By Dr. G. John Mullen, PT, DPT, CSCS of Swimming Science, COR, Creator of Swimmer’s Shoulder System, Swimming World Rehabilitation and Physical Therapy Expert, and creator of the Swimmer’s Shoulder System, Dryalnd for Swimmers, and Swimming Core Training. many coaches ignoring or not monitoring pain levels correctly. The practical implication of this piece may sound “soft,” but swimming with no shoulder pain and minimal shoulder soreness is the ideal route for improving the absurdly high injury rate in the sport. The implications suggest excessive soreness hinders the sport of swimming more than it helps, due to the biomechanical alterations accompanying soreness. When educating coaches and swimmers, I previously discussed the importance of understanding the injury process, but improving the perceptions and beliefs of swimming shoulder pain and swimmers is perhaps more pertinent. In a recent study reviewed in Swimming Science Research Review, 102 swimmers between 13 and 18 years old from seven swim clubs were given a survey with questions regarding swimming practice and shoulder pain. Mild pain was depicted as a 0 – 4/10, moderate was 5 – 7/10, and severe was 8 – 10/10 (Hibberd 2013). This study found that participants completed an average of 6.98 practices per week of 6,000 – 7,000 yards/practice. On average, 4.21 dry-land sessions were performed each week. The majority of swimmers believed that mild and moderate shoulder pain is normal and should be tolerated. Overall, 85 percent of high school-aged club swimmers reported mild shoulder pain in the past year, 61 percent reported moderate shoulder pain, and 21 percent reported severe shoulder pain. Of these, only 14 percent had been to a physician. Seventy-three percent report using pain medication to manage their shoulder pain and 47 percent used it regularly, as in one or more times per week (Hibberd 2013). Perhaps one gap is understanding whether shoulder pain is from soreness or injury. This is a frequent question in my seminars, and after all my research I still don’t have a simple answer! Luckily, as a swim coach, parent or swimmer, you don’t have to differentiate the two, because pain and soreness behave similarly. If swimming shoulder pain is reaching a level higher than 3 out of 10, it is likely impairing stroke biomechanics and performance in practice. 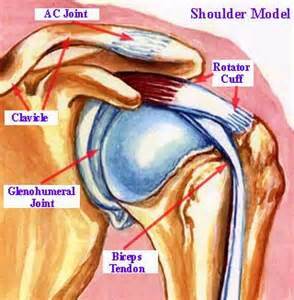 Faulty biomechanics are also more stressful to the shoulder, aiding to a risk of a debilitating injury. Previous education suggested swimmers “continue to train” in 4 – 5/10 pain, but it seems radical to push the envelope of injury during a period where improper form and movement patterns are followed! (Pink 2011) All swimmers could probably swim with 4 – 5/10 pain most of the time and not result with an injury or inflammation, but is it worth the risk? One must also account for how each individual responds to pain/discomfort, as the principle of individuality definitely comes into play. 1) The Outsourcer: These coaches always send swimmers to physicians or rehabilitation specialists at the first sensation of soreness. This practice increases medical costs and over-awareness of swimmers. 2) The Know-it-all: The other extreme is the coach who never sends their swimmers to a rehabilitation specialist (unfortunately, the most likely occurrence, from the lack of swimmers seeing rehabilitation specialists), resulting in many swimmers with untreated swimming shoulder pain. As a coach, understand the basics and having trustful, helpful outlets is vital. Many teams have parents who are physical therapists, chiropractors, physicians or another rehabilitation specialists. Use these tools at your disposal and use them wisely! Much of the incidence of shoulder pain is blamed on the coach, when typically the swimmer has a role as well. First, biomechanics play a predominant role in swimming, yet many swimmers unwillingly do not adjust biomechanical suggestions by coaches. This lack of initiation is aided by coaches’ not properly teaching motor control, but as the saying goes, you can take a horse to the drinking hole, but you can’t make them drink! Also, it is vital for swimmers to communicate their shoulder pain with their coach. Some may feel this is excessive, but constant communication and feedback is truly necessary for individualized programs and the ability to monitor pain/injury. This means, when something hurts, tell your coach! Don’t simply bite your lip and move along. Communicate with them about the issue and they will guide you. In the world of infinite information, many parents and swimmers feel they are smarter than a swim coach (perhaps we should syndicate this show…). Whether your coach has a Ph.D. or a GED, it is essential for the swimmer and parent to realize that the coach has experience, and this experience is something a swimmer or parent often doesn’t have. Experience is a vital component when it comes to humans, as research doesn’t prove anything and individuality is essential. Luckily, most coaches have dealt with numerous swimmers with similar issues as you or your swimmer, helping streamline improvement. In most cases, coaches have the best interest in mind for each swimmer. Realize this, let them use their experience, and if any questions arise, schedule an individualized meeting. This concept goes beyond injury prevention/rehabilitation and into all forms of training, as must coaches are willing to discuss concerns, when they are brought up at the appropriate time and setting. Nonetheless, keep communicating and being on the same team, as both parties are in skating towards the same goal! Once again, this may seem radical, but any pain (soreness or injury) greater than 3/10 in trained swimmers is unwarranted and feeding into the injury rate and the lack of improvement in biomechanics. Individualize your athletes’ programming, from injury prevention to volume of workouts and adjust these plans from their feedback. Remember, each person is different, so let communication be the light, instead of shooting in the dark! Sign-up for tips to improve your swimming! If you want to learn more about shoulder injuries in swimmers or see a presentation on this topic, consider purchasing the 2nd edition of the Swimmer’s Shoulder System. Pink MM, Edelman GT, Mark R, Rodeo SA. Applied biomechanics of swimming. In: Magee DJ, Manske RC, Zachazewski JE, Quillen WS, ed. Athletic and Sport Issues in Musculoskeletal Rehabilitation, 2nd ed. Philadelphia, PA: WB Saunders; 2011:331-49. Schoenfeld BJ. The use of nonsteroidal anti-inflammatory drugs for exercise-induced muscle damage: implications for skeletal muscle development. Sports Med. 2012 Dec 1;42(12):1017-28. doi: 10.2165/11635190-000000000-00000. Review. By Dr. G. John Mullen received his Doctorate in Physical Therapy from the University of Southern California and a Bachelor of Science of Health from Purdue University. He is the founder of COR and a leader in the world of physical therapy and strength training for swimmers. He is the President of Swimming Science, COR, the creator of Swimmer’s Shoulder System, Swimming World Rehabilitation and Physical Therapy Expert, and creator of the Swimmer’s Shoulder System, Dryalnd for Swimmers, and Swimming Core Training.